What Is Matt Sinclair Doing Now? Sinclair has entered into a partnership with one of Australia’s fastest growing company, Silver Chef. He will be the new social media ambassador. Sinclair will soon launch a video series following his journey to becoming a hospitality business owner and beyond. He wants to inspire people with his story. Sinclair says he is excited to work with Silver Chef. They are helping him since September 2016 and assisting him in every step to set up his business. Matt Sinclair also appeared on Australian television cooking show, Everyday Gourmet. 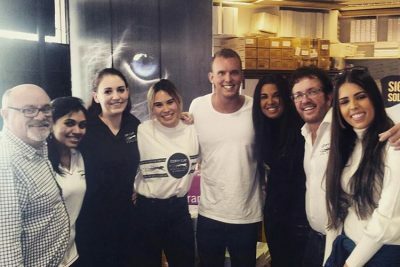 The show is hosted by former MasterChef contestant Justine Schofield. Elena Duggan was seen in the first challenge of MasterChef Australia Season 9 in the 4th Episode. She selected the ingredients of the mystery box challenge. Before that Duggan had uploaded pics of two gourmet dishes. Spicy, sticky, twice cooked pork and Anzac cookie sandwiches. Sticky, spicy, twice cooked pork. Probably should have been accompanied by some veggies, quinoa or something… but it was an experimental share plate degustationy kinda night and we just dove in! Yum!!! Who else loves a good share plate? No better excuse to get into the kitchen than the school holidays! Try making my ANZAC cookie sandwiches, recipe available in the current issue of @deliciousaus. Tag me in your pics, I love it when you share your cooking with me! I'll post my Earl Grey Tea parfait recipe soon which is a yummy alternative for the middle of these yummy little dessert sandwiches, too! Yum! Gorgeous image, styled by @kirstenljenkins photography by @chriscourt. She feels the pork dish should have been served along with veggies or quinoa. But the dish alone looks tempting. She tells her fans to try the recipe and tag her in the pics. She loves when her fans share their cooking with her. Next she would be sharing a delicious Earl Grey Tea parfait recipe. Elena Duggan says being on Masterchef has changed the way she treats the ingredients. She loves to buy seasonal ingredients and likes mixing up things that can go well together. She feels planning and preparations are important for a good dinner. She advises to keep things separate and make it differently each day. She is currently searching for a property where she can open a restaurant and kitchen workshop. 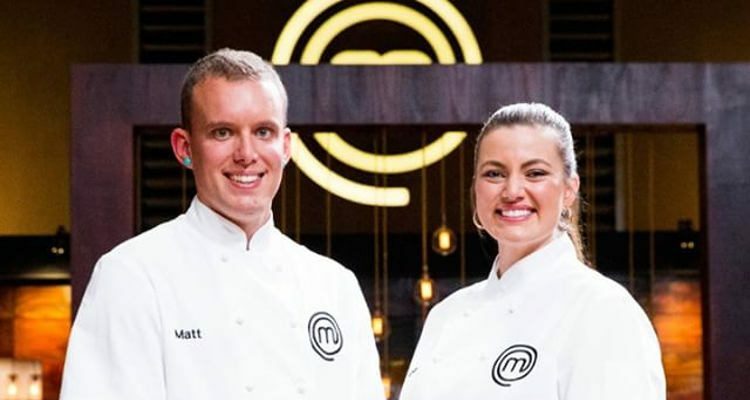 What have MasterChef Australia season 8 winner Elena Duggan and runner-up Matt Sinclair been up to since the competition ended a few weeks ago? Well, one is sharing her latest recipes on Instagram and the other is going to run a food truck pretty soon. Both contestants were evenly matched, with both pegged for the win as the finale drew closer. Sinclair was the social media darling, but in the end, Duggan was crowned MasterChef. Sinclair, a 27-year-old coffee roaster from Queensland, may have lost the competition—but it certainly hasn’t stopped him from chasing his culinary dreams. Sinclair’s dishes had many viewers wishing they could sample his fare in real life rather than observe from their TVs, and now that wish could very well come true for locals. Sinclair has plans to open a food stand in Brisbane’s Eat Street Markets in a few weeks. The new food venue, which he hopes to turn into a food truck down the road, is called Ten Piece Cutlery. But, it’s baby steps for now as Sinclair focuses on his new food stall. Apparently he has the menu planned and ready, with dishes that are simple and comforting. Comfort food—who doesn’t need that? The cuisine will have a strong South East Asian flare but other options might include a soft shell crab burger, Thai-style chicken, and short ribs braised in master stock. Elena Duggan was MasterChef Australia’s grand winner, and it is no wonder. Her final dish, the “Verjus in Egg,” was the outstanding dish that prevented Matt Sinclair from nabbing the coveted prize. The 32-year-old teacher won $250,000 in cash and a chance to write her own magazine column. Elena Duggan’s favorite food is seafood. She also loves fresh and green vegetables, so her Instagram followers are sure to see those ingredients pop up in her dishes soon. For now, Duggan is taking things slow as she figures out her next steps. Pawar, R., “What is ‘MasterChef Australia’ Season 8 runner-up Matt Sinclair upto now?,” delish web site, July 29, 2016; http://www.ibtimes.co.in/what-masterchef-australia-season-8-runner-matt-sinclair-upto-now-688317#PsKPRVcLmoTiO59Q.97, last accessed August 23, 2016.
http://www.movienewsguide.com/masterchef-australia-season-8-winner-elena-duggan-cooking-now/264461, last accessed August 23, 2016.